Exchange Gaming Club 120 S. 1st St. 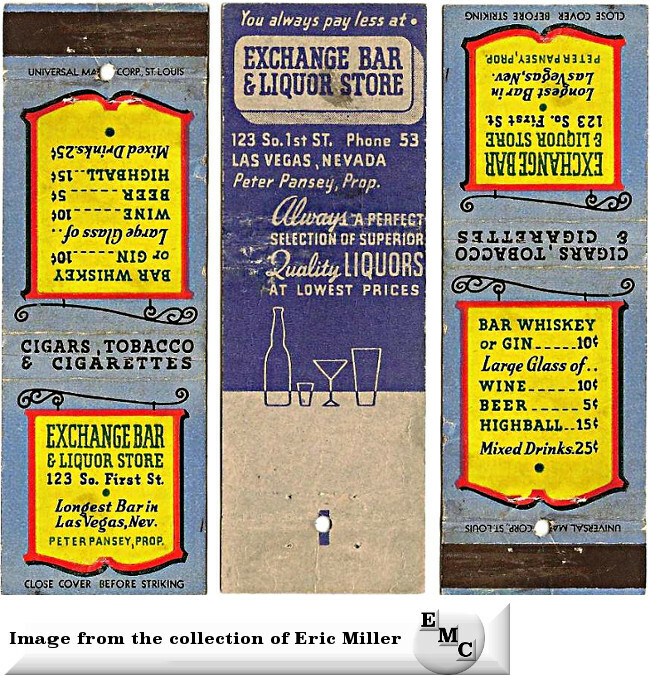 The Exchange Club was an enterprise of A. T. McCarter (et al) and licensed from April 1, 1931 through 1933. 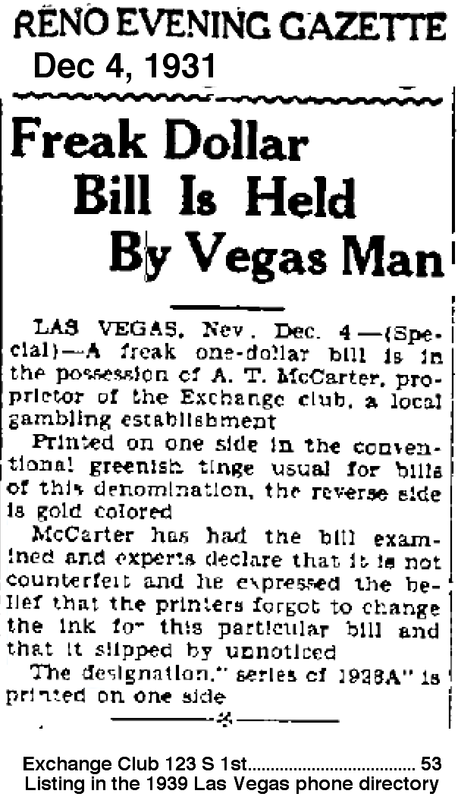 Then again licensed to A. T. McCarter (et al) from May 17, 1933 through 1934. It was licensed for slots, 21, poker, craps and roulette. 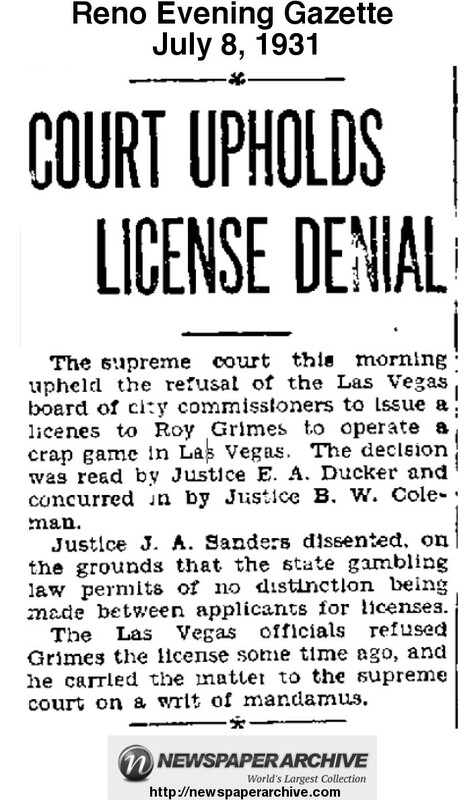 Although the Exchange Club was "licensed" in 1931 when gambling was made legal in Nevada you can see by the article to the left that it was in business as early as 1927 with poker being played with "yellow chips"
Exchange "Bar" at the same location as the Exchange Club and with the same phone number as it had in the 1939 phone directory. In a newspaper article dated June 14,1943, a Peter Pansey was placed on probation and his wife Clara A. Pansey, was fined one thousand dollars at a federal court hearing held in Reno. The Panseys were charged with defacing brands on labels affixed to twenty-seven cases of distilled spirits which were bottled in bond at a United States internal revenue bottling warehouse.Their attorney was Julian Thruston of Las Vegas. The Panseys were previously sentenced in the Clark county district court on charges growing out of the same offense.